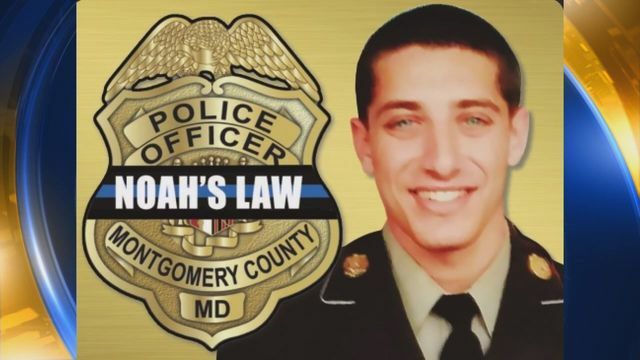 Are you affected by Noah’s Law in Frederick, MD? Noah’s law came into effect last year and many people still don’t know much about it. This law comes after a police officer was killed by a drunken driver in December of 2015. The driver admitted he had been drinking prior to the accident and as a result, the DUI laws have been called into question. In the end, the Noah’s Law was introduced, to prevent future similar accidents. Drivers are also affected by Noah’s Law in Frederick, MD, just like in all other Maryland counties. Your personal injury lawyer from Frederick, MD, can explain to you more about this law and can help you if you are in need of legal counsel. In the past, repeat DUI offenders had to use the ignition interlock device every time they wanted to use their cars, to prevent them from driving under the influence again. If the breathalyzer test revealed a higher BAC level than permitted by the law, the car would not start and the person was obligated to walk or take a taxi. This also happened for those who had a BAC higher than 0.15. But all first-time offenders who registered a blood-alcohol level between 0.08 and 0.14 did not have to install this device in their cars unless the judge ordered so. Your Frederick injury lawyer will tell you that ever since 1st October 2016, everything changed. Noah’s Law, which took the name of the officer who was killed, all first time DUI offenders have to use the interlock device before getting to drive. This means that if you were caught and convicted of a DUI or DWI and a minor is in the car, then you will need to install the ignition interlock device on your car. If you were convicted of homicide or life-threatening events, while under the influence of alcohol you will also have to use this device every time you get in the car. You can ask you Frederick injury attorney for more information about this device and how it works. How does this law affect me? If you were caught drinking and driving, this law obligates you to participate in this program and use the interlock device. The mandatory period for all first-time offenders is 6 months, while second-time offenders will have to use the device for a year. A lot of people try to get their personal injury attorney from Frederick, MD, to get them to remove this device, but in most cases, there is nothing that can be changed even if you have the best Frederick injury attorney by your side. Your Frederick injury lawyer knows that now Noah’s law has also increased the license suspension. For example, if you have a BAC between 0.08 and 0.14 then you might get a suspension of 180 days. This period is the same regardless if it’s your first offense or if you’re a repeat offender. If you have a BAC higher than 0.15 you will get an 180-day license suspension, and repeated offenders will be forbidden to drive for 270 days. If you were caught drinking and driving you can call your Frederick injury lawyer to help you with this situation. If you ever get stopped at a DUI checkpoint, contact your personal injury attorney from Frederick, MD. He or she will tell you what you should do next and what your rights are. For more information, contact the best personal injury lawyer from Frederick, MD at (443) 569-3950 or [email protected].